Imagine if you stepped-in to a smartphones store and came across an affordable foldable smartphone. Yes, Tecno mobile could be cooking an affordable version of the hiked price smartphones range in 2019. A Galaxy fold will cost $1980 when its available for order as Huawei’s Mate X is a $2600 priced flagship though Xiaomi’s $999 3-folds version is the cheapest so far. So a foldable Tecno smartphone would become the first affordable device in this league as the story has been with the midrange competition. 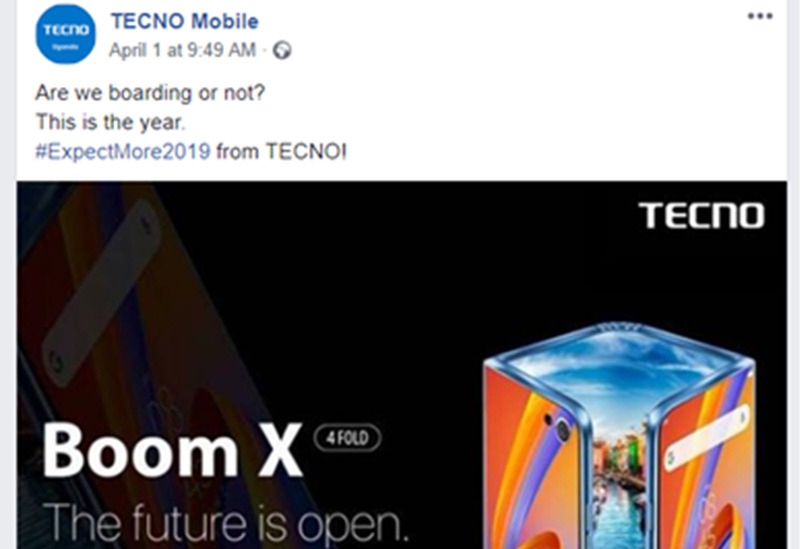 Even when April 1st is known to be a jokes drizzling day, the Tecno mobile tease off their Facebook page didn’t seem to be a fools’ day prank. After the Galaxy fold, Mate X and an upcoming yet to be named Xiaomi release, we all know Tecno mobile will be the manufacturer under pressure to fill the East African gap with a hefty pack of demand in Uganda. So, as much as the 1st April teaser was a fool’s day prank since the brand mentioned a 4 folds release, we believe a foldable Tecno smartphone is in the pipeline and our expectations are just in high gear for a 2019 date. Forget the top notch, foldable smartphones are slowly taking over the iPhone X ignited revolution at a time when Apple is still fixing backstage designs. 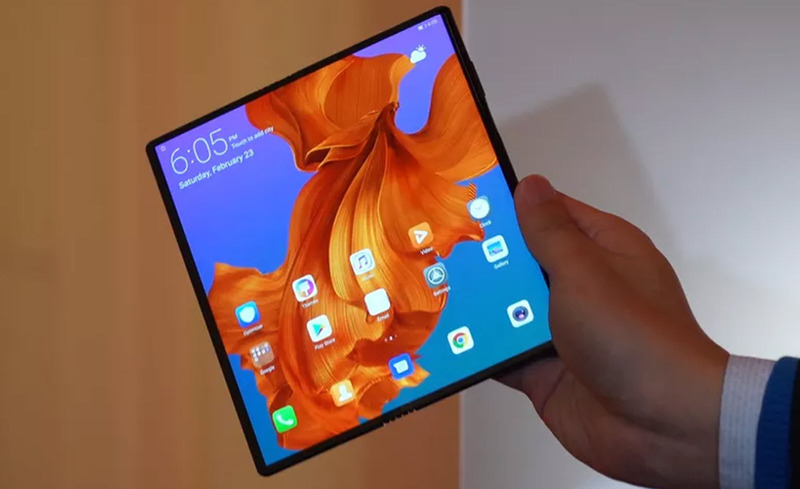 Though we have seen Samsung’s version followed by a hot punch from Huawei, we expect to see Tecno’s take on the trend before Apple resurrects from the foldable iPhone design sessions. We expect the foldable Tecno smartphone to feature a sleek shiny design similar to that of the Camon 11. With a 7.3 foldable display size evidenced on all top tier releases so far, Tecno’s foldable version will definitely connive with the same trend for its flagship device. As if the design and shiny colors are not enough for a Tecno foldable smartphone, we hope to see 4 cameras or more packed to the device since the company hasn’t yet borrowed the full multiple streaks of flagships like the Nokia 9 PureView. With 2 cameras to the back and 2 front facing cameras on top of the fold, the device would be a selfie beast in a foldable zone. Alternatively, we expect a 3 folds smartphone and not a 4-folds version as the Tecno Boom X teaser triggered the budget-friendly zone with a panic. So, as Itel mobile and Infinix watch in a tight corner of the foldable chase, we expect to see such a feature-filled foldable Tecno release to shake the high-end notion with price spikes to the budget-friendly lows.